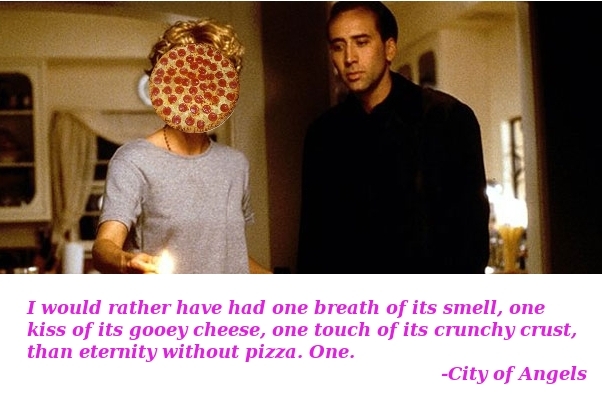 In a moving, unexpected scene Nick Cage decides to mess up his low-carb diet. Goo Goo Dolls dramatically playing in the background. After being publicly shamed and wrongfully accused by his narrow-minded community, dance teacher Johnny makes a comeback to teach them a final precious lesson. You do NOT warm up pizza in a toaster. 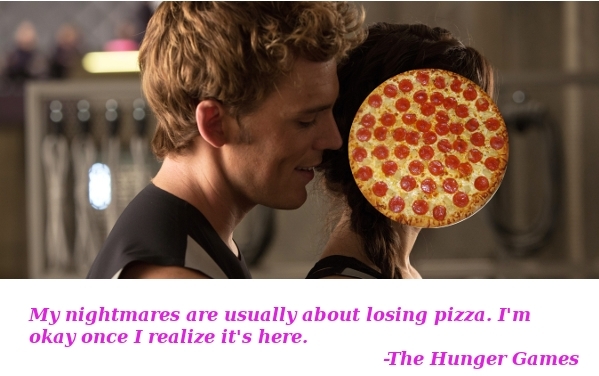 It always burns the crust and makes the cheese go all over the place. 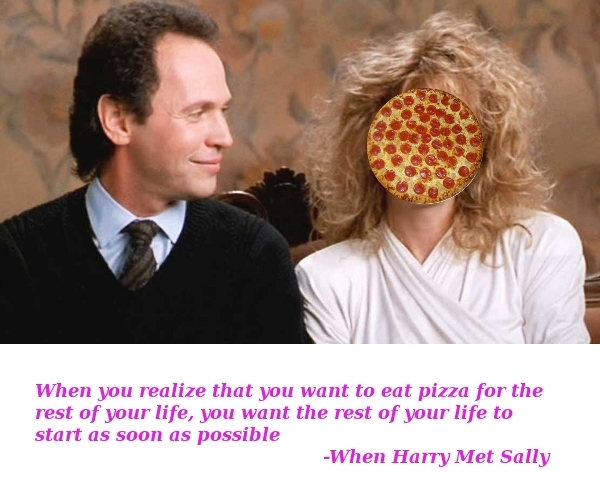 Tom Hanks is the son of vegan parents and thinks that fake cheese is the yummiest thing in the world, until one day – by chance – he crosses path with REAL pizza and he instantly knows what REAL love is. 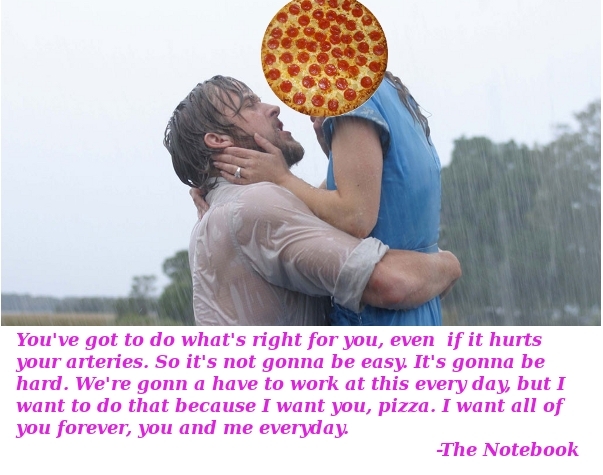 The Notebook tells the story of Ryan Gosling choosing a drastic diet made of pizza and pizza only. 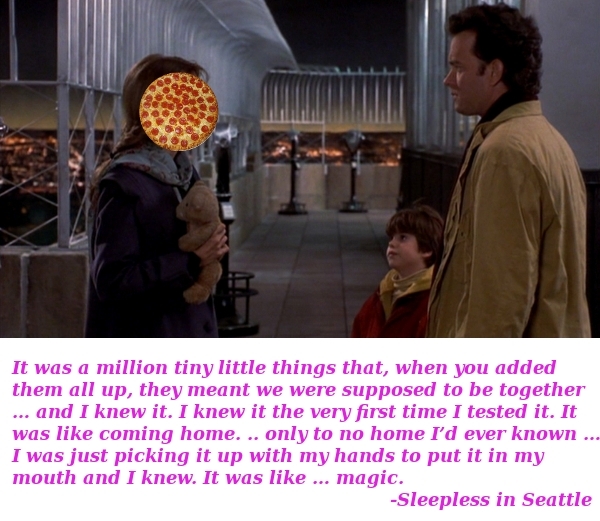 Throughout the movie, Ryan has to face a judgemental community and an army of disapproving doctors, but in the end his love for pizza prevails. Where “Other drugs” clearly stands for “pizza”. 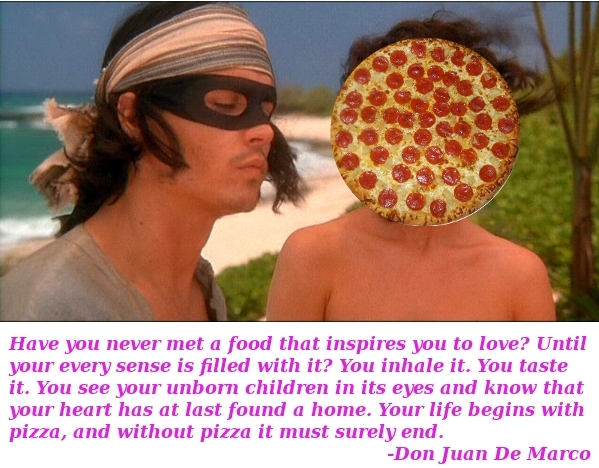 A manipulative Pizza Salami carries on a turbulent affair with a blockade runner during the American Civil War. 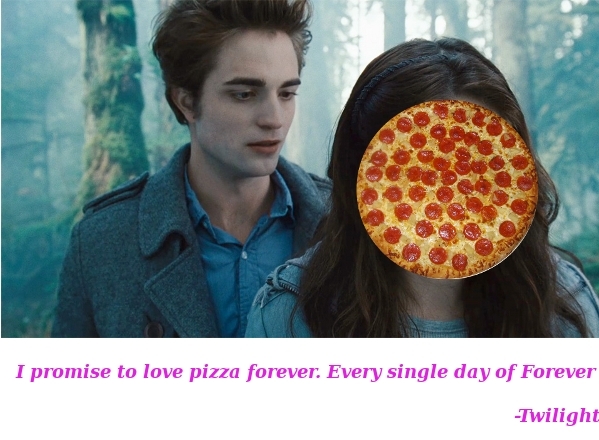 “Forever” may seem like a really long time but if you alternate the toppings getting tired of pizza is absolutely impossible. Just one of those pseudo-indie movies with Johnny Depp. 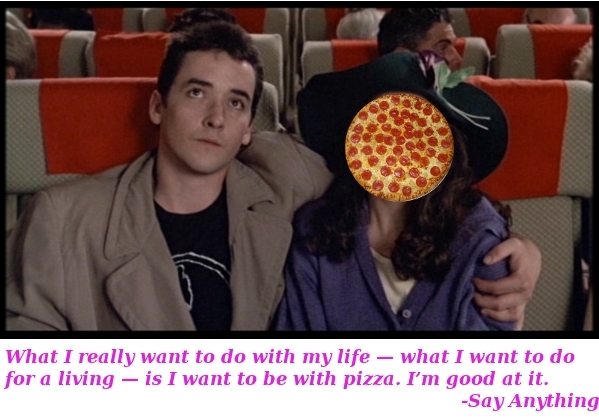 And pizza. 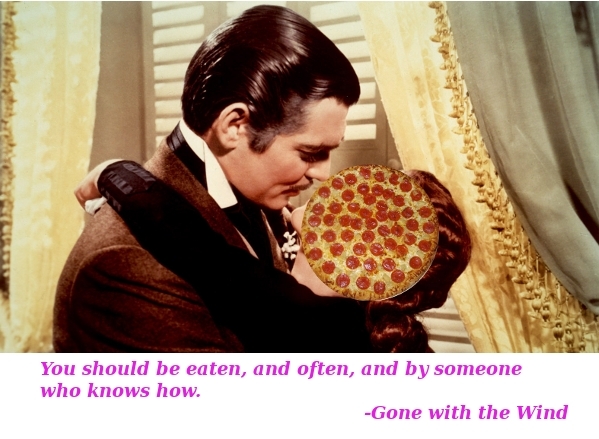 Sparks fly when Pizza Tuna meets single, rich, and proud Mr. Darcy. 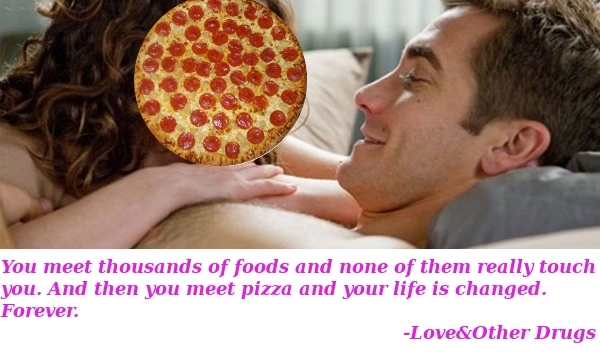 But Mr. Darcy reluctantly finds himself falling in love with a pizza. Can each overcome their own pride and prejudice? 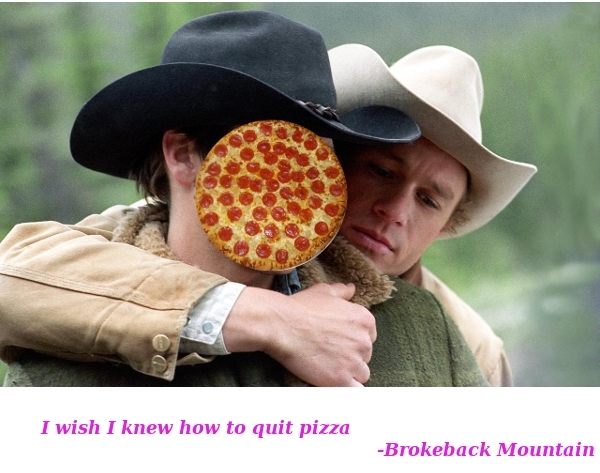 Brokeback Mountain is the story of a cowboy with an eating disorder (Heath Ledger) who loves pizza more than he loves his wife and tries to keep it a secret. 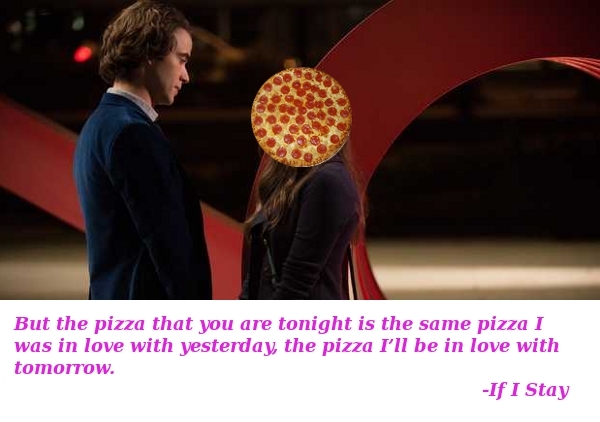 If I stay is a coming of age movie culminating with the male protagonist figuring out that yes, pizza on the day after (and the day after that) tastes A-M-A-Z-I-N-G.
A young John Cusack has a revelation that will shatter his community and traumatize his parents: he wants to deliver pizzas ’till the day he dies. 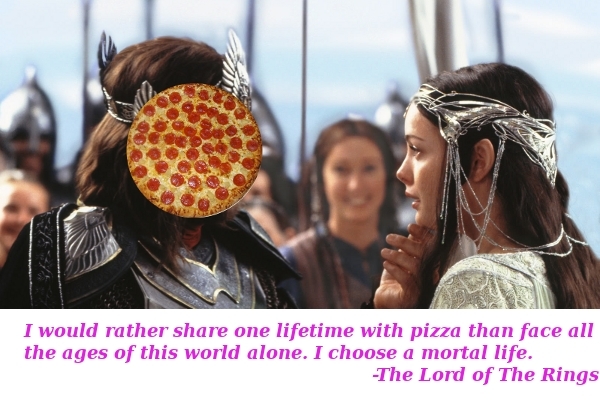 Arwen is allergic to gluten but willing to give up her health in order to keep eating pizza. Heartbreaking. 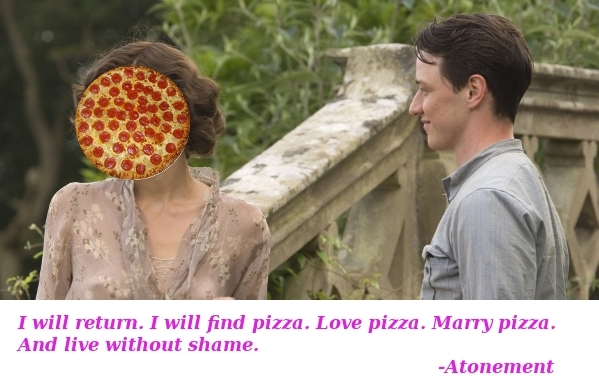 Atonement is the story of a man who’s willing to face war, pain and a long list of adversities in order to reunite with the only food he’s ever loved. 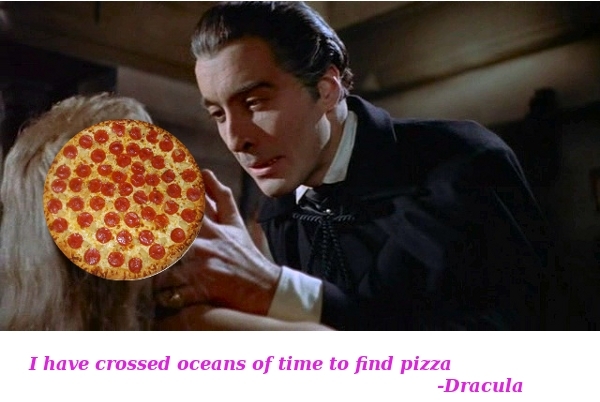 Romanian vampire Dracula defies his own nature and stands in long lines at the supermarket only to buy himself some pizza.